Lions coach Enoch Nkwe will take charge of the Jozi Stars for the 2018 Mzansi Super League. 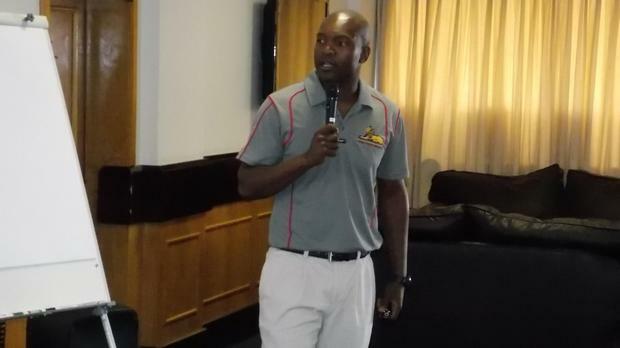 Nkwe succeed former Lions coach Geoffrey Toyana earlier this year – and will be assisted by technical team Wandile Gwavu, Justin Sammons, Nandile Tyali and Brett Edwards in the inaugural Twenty20 tournament. Fast bowler Kagiso Rabada was revealed as the Stars’ marquee player earlier this week. Meanwhile, the Dolphins’ Grant Morgan has been named coach of the Durban Heat. Morgan will be accompanied by assistant coach Imraan Khan, team manager Anderson Ndovela, physiotherapist Nick Moffit, trainer Gavin Muir and analyst Adhishwar Pillai. ‘It is great that we can keep our back-room team together for this tournament. 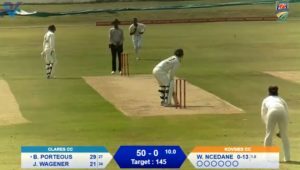 They have proved that they are a strong unit, understand how to win T20 matches and come in to the tournament with a proven track record,’ said KwaZulu-Natal Cricket Union chief executive officer Heinrich Strydom. A shoulder injury has sidelined Cape Town Blitz batsman JP Duminy from the MSL. He had been unveiled as the Blitz’s marquee player, but has since been replaced by wicketkeeper-batsman Quinton de Kock. ‘JP aggravated a pre-existing shoulder injury during the recently concluded series against Zimbabwe,’ said Proteas team manager, doctor Mohammed Moosajee. ‘The injury will require surgical management, thus ruling him out of the upcoming MSL. The MSL player draft will happen on Wednesday. The tournament will start on 16 November and end on 16 December 2018.